Tornadoes, flooding, wildfires, blizzards, straight-line winds, ice storms, and droughts are the kinds of natural disasters most likely to cause widespread economic loss and personal hardship in St. Louis County. Taking steps to minimize the damage from a natural disaster is key to the County's multi-hazard mitigation plan (MHMP); and as the County works to update the plan, it wants to hear from the public. The St. Louis County Sheriff's Office - Emergency Management Division is working with the University of Minnesota Duluth – Geospatial Analysis Center (GAC) to update the County’s plan. Also working on the update is a planning team of representatives from County departments, local municipalities, school districts, and other key stakeholders such as utility providers. The St. Louis County multi-hazard mitigation plan covers St. Louis County, including the cities of Aurora, Babbitt, Biwabik, Brookston, Buhl, Chisholm, Cook, Duluth, Ely, Eveleth, Floodwood, Gilbert, Hermantown, Hibbing, Hoyt Lakes, Iron Junction, Kinney, Leonidas, McKinley, Meadowlands, Mountain Iron, Orr, Proctor, Rice Lake, Tower, Virginia and Winton. The St. Louis County MHMP also incorporates the concerns and needs of townships, school districts, and other stakeholders participating in the plan. Examples of hazard mitigation include improvements to roads and culverts that experience repetitive flooding; construction of safe rooms at campgrounds, parks, mobile home parks or schools to protect lives in the event of tornadoes or severe wind events; burying power lines that may fail due to heavy snow, ice or wind storms; ensuring timely emergency communication to the public through warning sirens and mass notification systems, and conducting public awareness and education campaigns to help people to be prepared to take safe action before, during, or following a hazard event. Some mitigation activities may be eligible for future FEMA Hazard Mitigation Assistance grant funding. Have you experienced a previous disaster event? Comments, concerns, or questions regarding natural disasters and potential mitigation actions to be included into the plan update process should be submitted to St. Louis County Emergency Management Coordinator Dewey Johnson at 218-726-2936 or johnsond@stlouiscountymn.gov. There will be additional opportunities for public feedback throughout the update process. 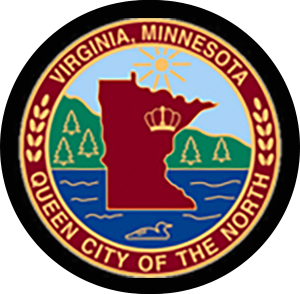 A draft of the plan will be posted on the County website for public review prior to submission of the plan to the State of Minnesota. Future news releases will be shared with the media to notify the public of these opportunities. The Federal Disaster Mitigation Act of 2000 (DMA 2000) requires counties to update their plan every five years in order to maintain eligibility for certain federal disaster assistance and hazard mitigation funding programs.